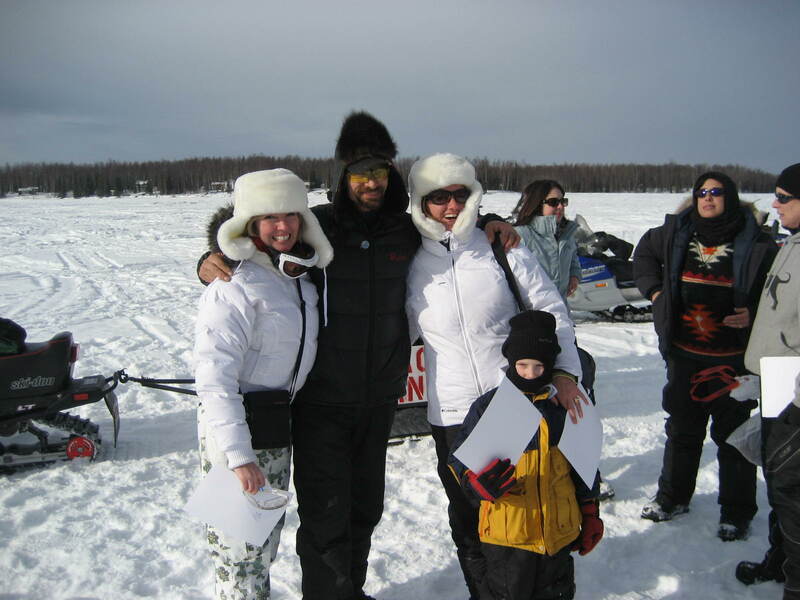 Again, with the Iditarod! Can’t get enough! 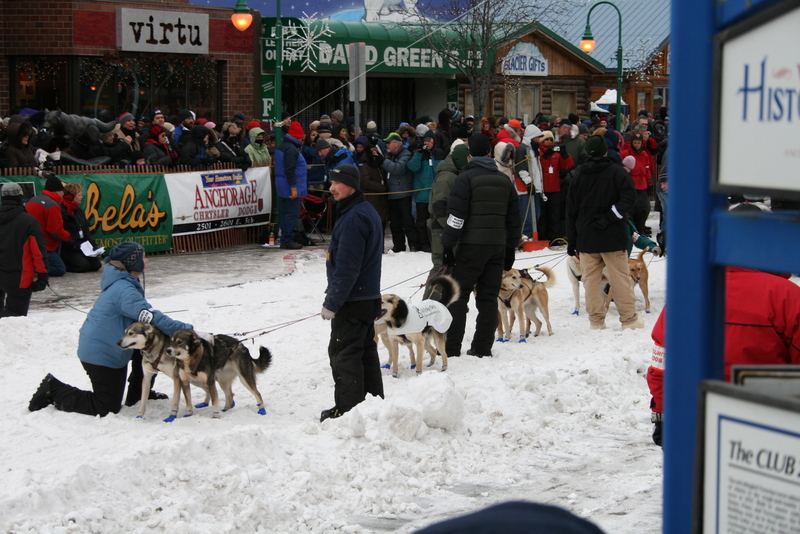 The Ceremonial Start is very festive – the mushers take off in order, and they stay in order (not really racing yet – the real race starts the next day at the Official Restart). Some (most?) 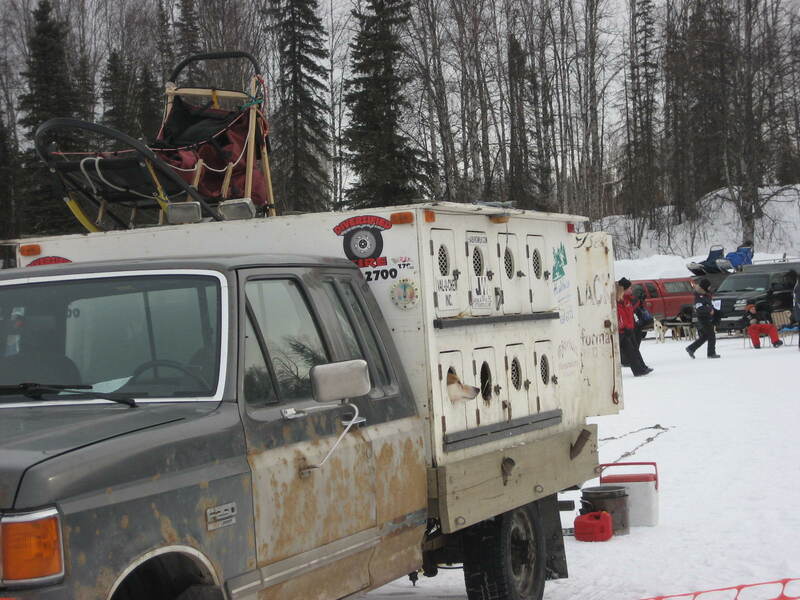 of the mushers have guests who ride in their sled (called Iditariders) – the Iditariders bid for the exciting adventure of riding along. 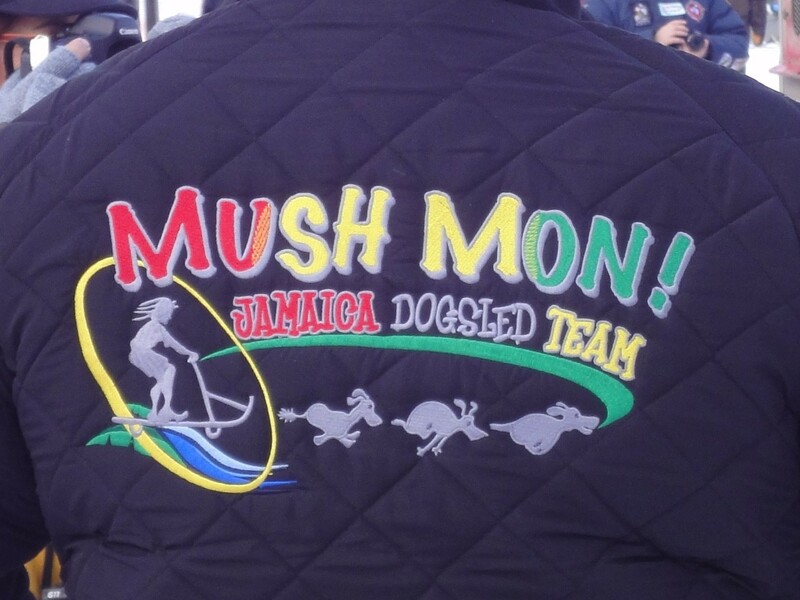 I’ve never seen anything like the dog teams! 16 dogs, raring to go! 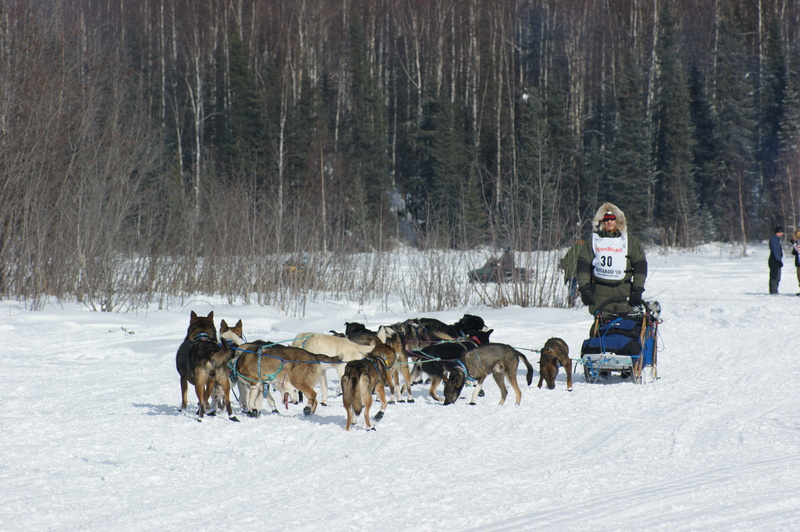 They are so anxious to run, the y have anchors on the sleds, handlers for almost every other dog, and often people piled on the sled, just to hold them in one place! They yip and yap and bounce around! BUT, when it’s time for the countdown, they are sooooo quiet!! No sounds at all, once the countdown hits about 8! 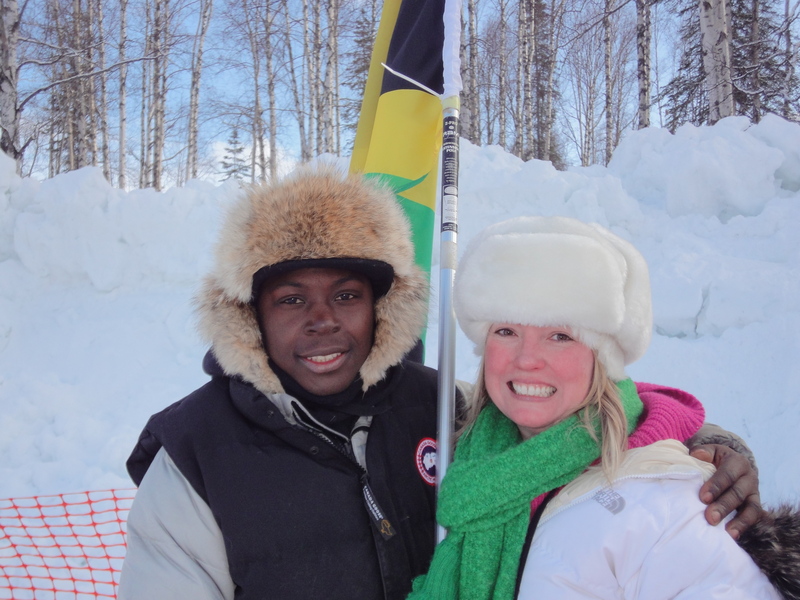 We’ve been to the Iditarod twice, so my memories are getting mixed up – which experiences belong with which visit. For example: there’s the guy who made me pay him $1.25 to take a picture of his duct tape splint. Then, we met Leo! When Daisy & Coco (our two little miniature dachshunds) can’t come with us, we (well, I) bring their little counterparts: Daisy Deux and Coco Two (gifts from friends from once upon a time when I was sad to leave the actual Daisy & Coco behind). So, I had Daisy Deux and Coco Two out for a picture and someone came over to introduce “Leo”, her lion mascot, and set him into the picture I was taking.. 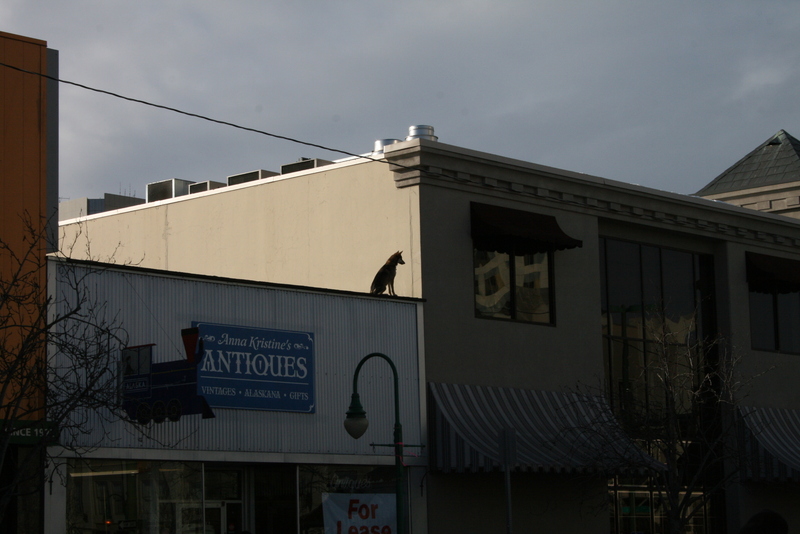 Apparently, Leo has been everywhere – including into Outer Space! The BIG event, though, is the Official Restart! 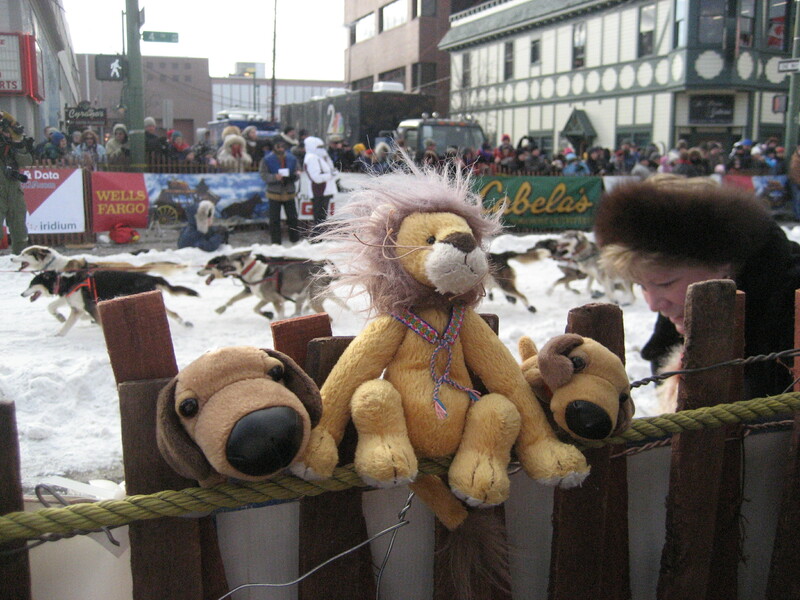 The festivities from the Ceremonial Start follow to Willow – less carnival-y, but the media comes out, the fur kiosks, and tons of spectators. Speaking of nice! Lance, and his wife, Tonya, were so nice and friendly – and, even though they were so busy, they stayed around for photos and autographs and more photos. Forever solidified as my favorite!! 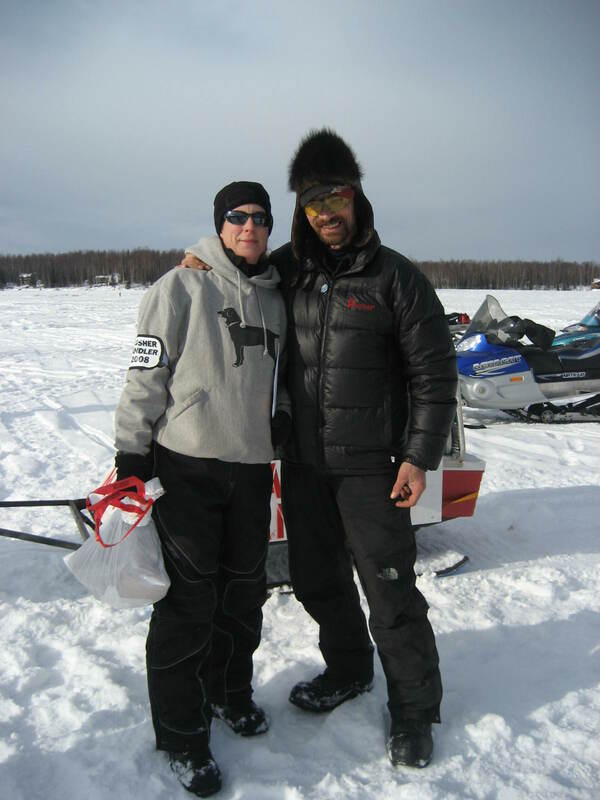 The second time we were there, Lance was leaving later, so we stayed and watched the Restart, right at the beginning, and then went out to find our place on Long Lake after. There’s so much hype and excitement with the teams, it’s really worth watching the restart!! but watching the calm precision of the teams in motion is worth watching too. It’s nice to have the option to do both. Needless to say, with some determination and a little bit of a trek, we did get to meet Newton! The first year we went, I searched and searched for a sled to sit in for a picture. All were being used, and no matter what, I couldn’t get in. 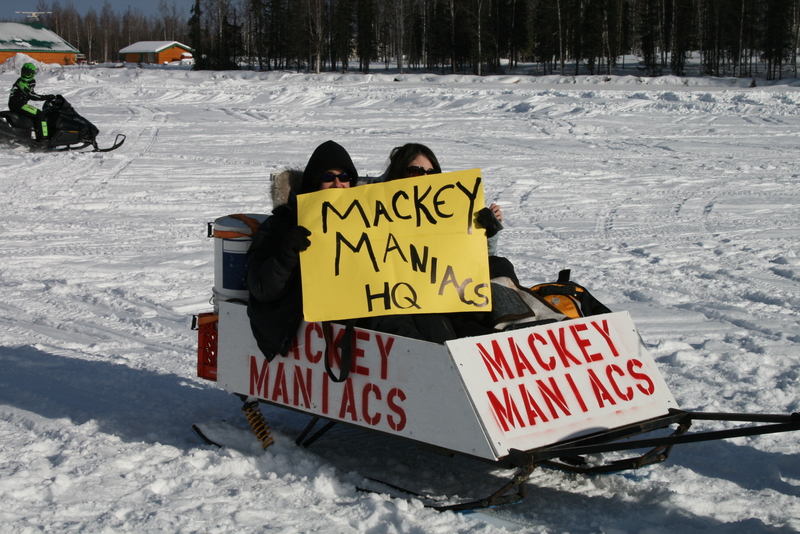 The second year, however, they had (which is a great tourist-y thing) a 1/4 mile Dogsled track. They use dogs in training, and you can do the little circuit. 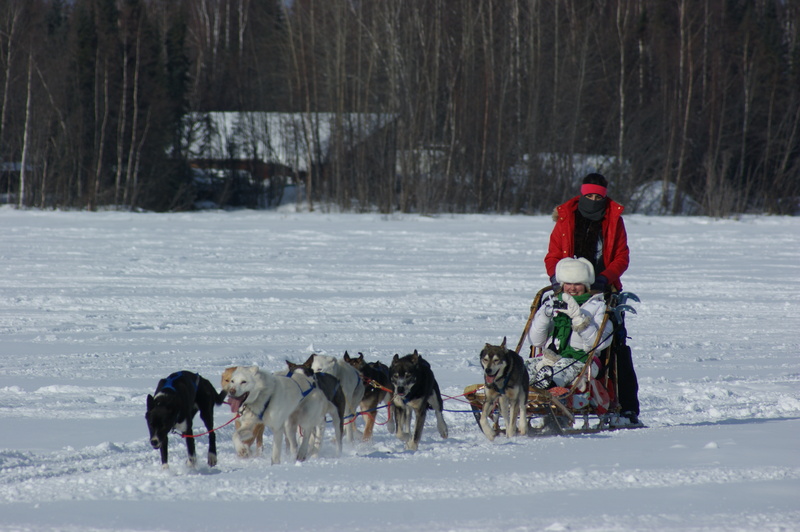 Every year, I “watch” the Iditarod on www.iditarod.com and follow-up articles at www.adn.com. 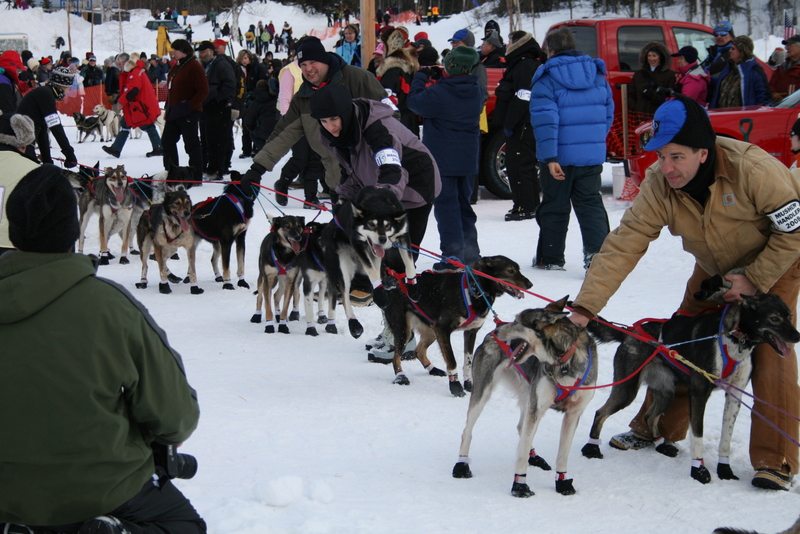 I track the progress of each musher, every day. I’m completely hooked. This year, 66 teams started ~ Lance started #5. Newton started 8th. (Sebastien Schnuelle, mentioned in my previous blog, is a correspondent.) The official Restart was this past Sunday. 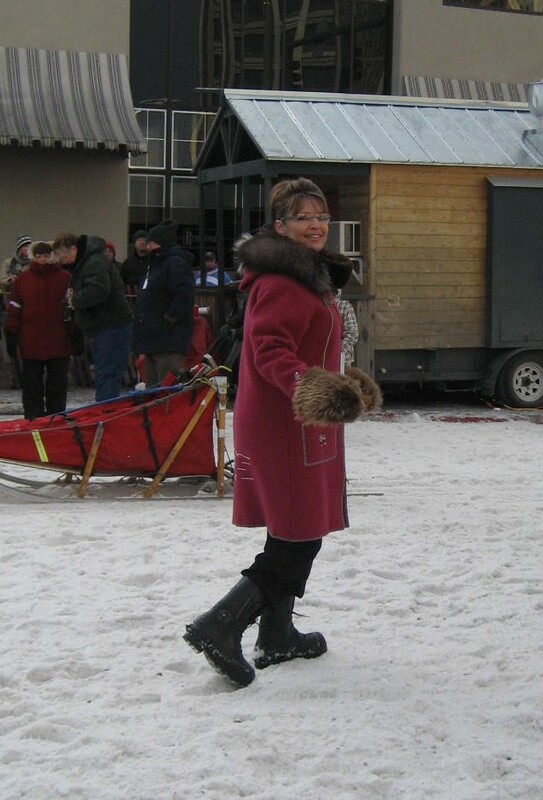 I feel like I could go on and on and on, but there’s no way I can explain the Iditarod – you just need to go and experience it for yourself!! 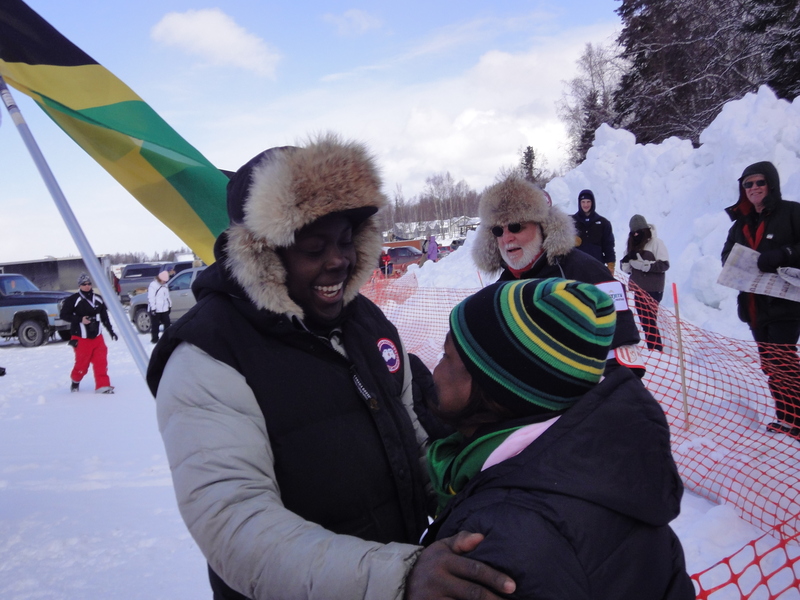 The side-effect of this blog, and the fact that the Iditarod is currently mid-race, has made me nostalgic. So, guess what! Looks like we might be planning a reunion! 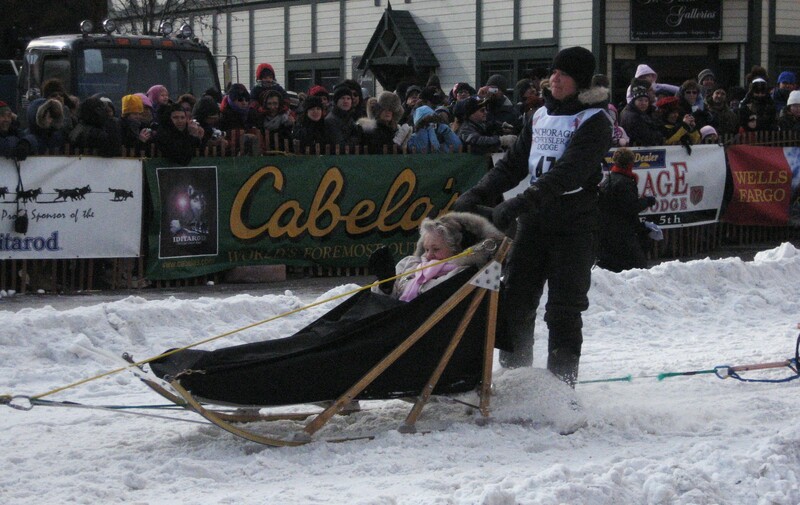 2014 Iditarod!! You should come! 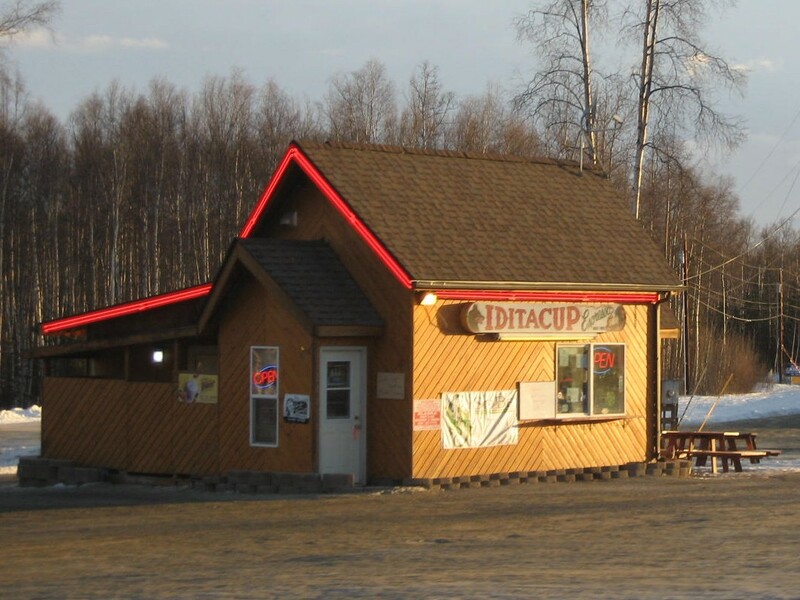 Sunday, I’ll be talking out our Roadtrip of the Disposable Car… unless I write more about the Iditarod… but I THINK it’ll be about the disposable car….